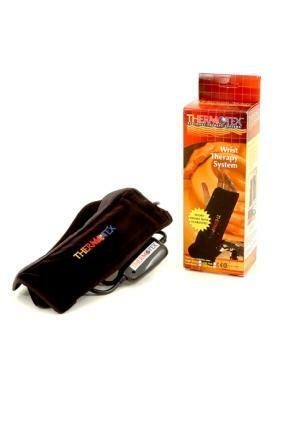 Infrared Heat Therapy Systems by Thermotex™ are convenient, portable Infrared therapy systems that you can use at home, in the office, while driving or on vacation to provide effective temporary pain relief wherever and whenever you need it. 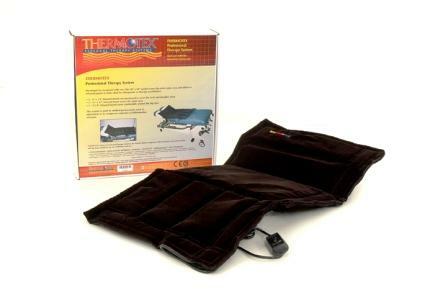 Thermotex™ Infrared Heat Systems produce infrared heat to provide deep penetrating warmth for temporary relief of acute and chronic pain. are a patented range of deep tissue infrared heating pads designed to relieve pain, promote healing and accelerate rehabilitation. 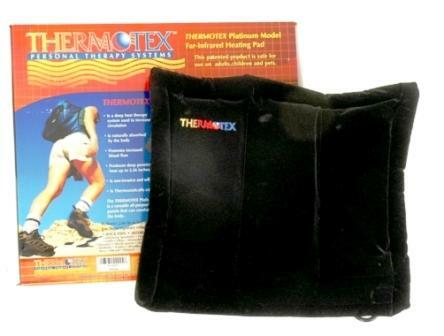 Unlike conventional hot packs or heat pads that simply heat the surface of the skin by conduction, Thermotex safely delivers pure infrared heat beneath the surface of the skin. Thermotex re-invented infrared heat therapy by producing 100% infrared heat, replacing conventional infrared lamps which emit light from different parts of the electromagnetic spectrum and must therefore be used with caution. In studies the unique subcutaneous heat delivery mechanism of Thermotex has been shown to raise temperatures at depths of 6 cm beneath the surface of the skin after just 20 minutes of use. 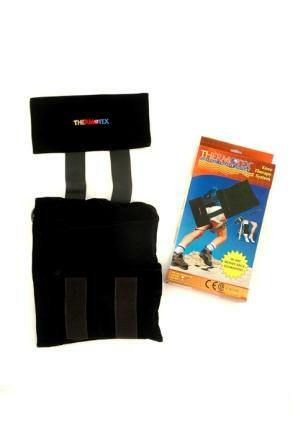 Thermotex Infrared Heat Therapy systems comes in a range of sizes. The PLATINUM System is the No 1 seller, being a versatile all-purpose model with three flexible panels that can comfortably treat any part of the body. This model and has a power rating of just 36 Watts. 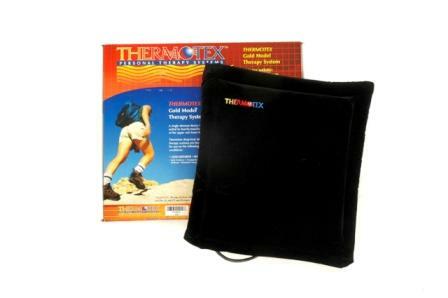 THERMOTEX has been successfully used by thousands upon thousands of pain sufferers and medical therapists.